Ariana Grande Sued Over Video For "God Is A Woman"
Ariana Grande is facing a copyright infringement lawsuit. According to TMZ, Russian-born artist Vladimir Kush is suing the artiste over her 2018 “God Is a Woman” video. 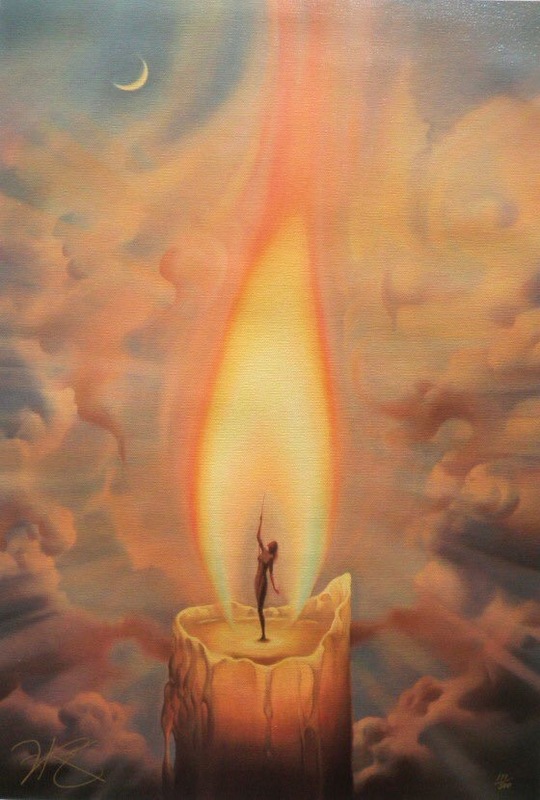 Apparently, the visual includes imagery that is nearly identical to his candle artwork. Kush points to the video’s 1:09 mark in which a woman’s silhouette is seen inside a flame with a bank of clouds in the backdrop. The artist alleges the shot features undeniable similarities to his decades-old The Candle and The Candle 2 paintings. Constellation series. Viktor’s lawsuit was settled last month, but the details of the agreement were not made public. Kush is allegedly seeking an injunction to remove the “God Is a Woman” video from the internet. But who told them that God is a woman. I am going to sue them. I will soon due them too. This go told her GOD is a woman? Russians don't believe the existence of God therefore they can use anything to represent God.